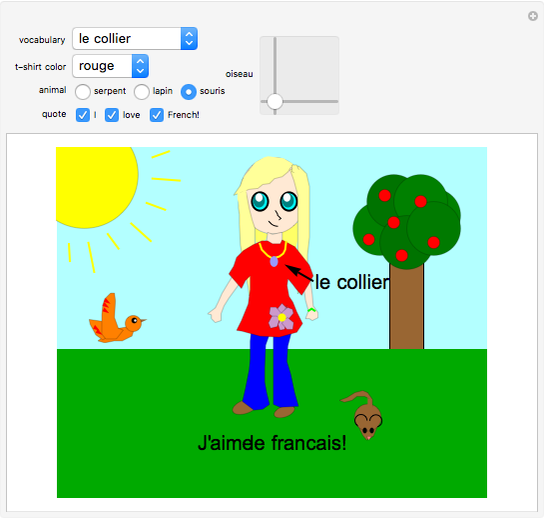 Choose different vocabulary words from the dropdown menu to learn the French words for items in the landscape. 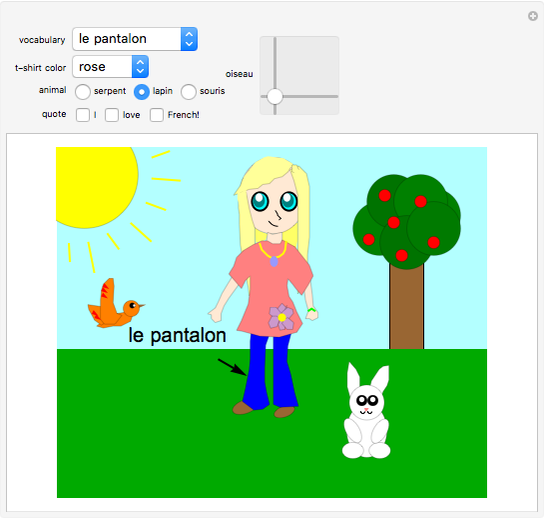 Pick the girl's t-shirt color and learn the French words for these vibrant hues. Select the animal that will be a furry, cute, or scary sidekick. Move the "oiseau" slider and find out what that word means. Once you're done exploring the joys of French, you can learn how to declare your new-found passion for the language by checking each word in the "quote" row. Good luck and have fun! Lucy An "Let's Learn French! An Interactive Learning Game"